The Social Security Administration recently announced they have added early-onset Alzheimer’s to the list of conditions under their Compassionate Allowance Initiative. This is a great help for younger individuals afflicted with this debilitating disease — giving them expedited access to Social Security Disability Insurance (SSDI) and Supplemental Security Income (SSI). In the past, people with early-onset Alzheimer’s have had difficulty when applying for Social Security benefits. While they may have eventually been able to receive the much-needed benefits, it was usually after first being denied and then having to file an appeal. This process took several years, during which time medical care and other necessities were often compromised. Thanks to the efforts of the Alzheimer’s Association — which has been working diligently since 2003 to improve the Social Security Disability process — early onset Alzheimer’s patients now have more options for their care. Alzheimer’s is the seventh leading cause of death in the United States. There are now over five million Americans living with Alzheimer’s disease, with that number expected to reach 16 million by 2050. Most commonly, Alzheimer’s disease affects individuals 65 and older. Early onset Alzheimer’s disease is a rarer form of the brain disorder in which symptoms appear prior to age 65, even occurring in individuals in their 30’s and 40. “With the aging of the baby-boomers, we are beginning to see more, younger working Americans diagnosed with this devastating disease,” said Social Security Commissioner Michael J. Astrue. Unfortunately, early onset Alzheimer’s is not as easily diagnosed because the medical providers aren’t usually looking for brain disorders in younger people. Nevertheless, the symptoms do progress and can become severe enough that the person cannot hold gainful employment. 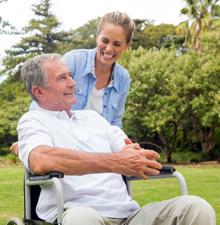 Eventually custodial care and nursing home care become issues, as the person needs to be in a safer environment for protection from the various hazards of everyday life. For families that do find early onset Alzheimer’s is an issue, correct estate planning is essential. Preparation for long-term care should be started. While hoping for the best, the family should plan for the difficulties that occur when the disease progresses to the advanced stages, including but not limited to assisted living or nursing home care. Proper legal authority should be granted via powers of attorney before competency becomes an issue. Finally, if the person is diagnosed with early-onset Alzheimer’s disease severe enough to prevent employment, the person should file for Social Security Disability benefits. The attorneys at The Elder Law Firm PC have assisted thousands of Michigan families with loved ones suffering from Alzheimer’s. We specialize in long-term care planning for those families helping them access benefits through Medicaid, Veterans Benefits and Social Security. 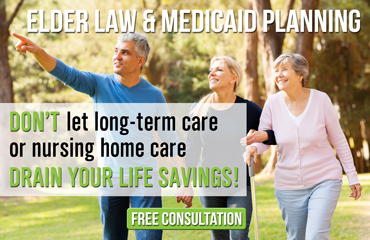 Michigan Elder Law Attorneys at The Elder Law Firm PC provide assistance in protecting your assets and protecting your family through Social Security Disability, Veterans Benefits, Medicaid and estate planning. Contact us by calling 877.960.5233 or by requesting a free consultation online here.